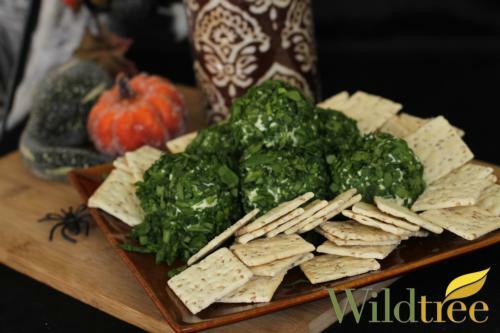 Spinach dip recipe is quick and easy any time of the year for any gathering. Here are a couple of my favorites. 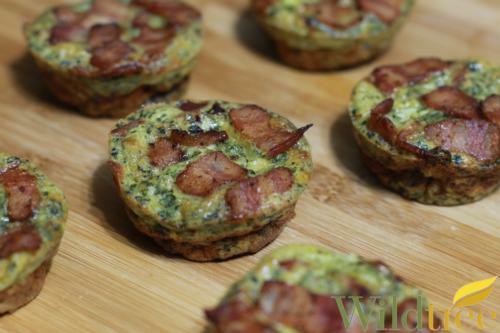 For more spinach recipes and/or shop for Wildtree products, go to www.TheDinnerPlanMan.com. Look for the Recipes tab at the top. Preheat oven to 375 degrees F. Combine all ingredients in a mixing bowl. Transfer to a baking dish. Bake for 20-25 minutes or until golden brown and bubbling. 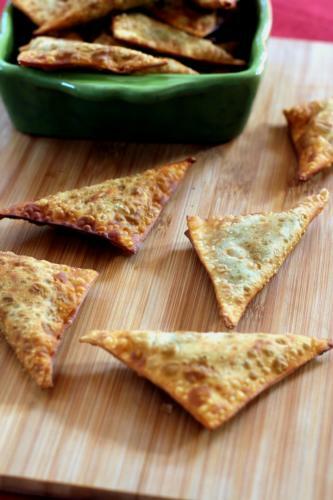 Serve with crackers, veggies, corn tortilla chips, or even as a spread for crostini. Combine all the ingredients. Rest in the refrigerator for about 30 minutes. 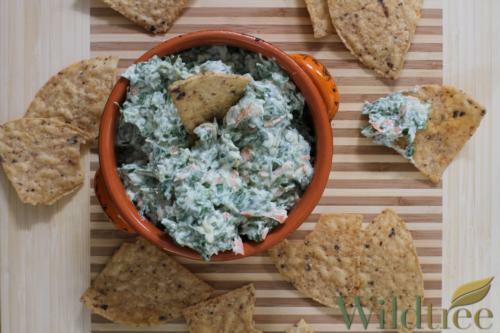 Serve chilled with chips, bread, or sliced vegetables to enjoy this spinach dip recipe. Preheat oven to 375°F. Heat the Grapeseed Oil over medium heat in a large nonstick pan. Add the spinach and saute until wilted. Transfer to a mixing bowl. Once cool enough to handle, remove the liquid from the spinach by squeezing it with your hands. Work in small batches to do this. Once all the liquid has been removed, chop the spinach. Add the spinach back into the mixing bowl along with the bread crumbs, nutmeg, Garlic Galore Seasoning and Parmesan cheese. Toss to combine. Add the beaten egg and toss again. Shape the mixture into 12 balls and place on a greased baking sheet. Bake for 10 minutes, flip and continue cooking for 5 minutes more. While the spinach balls are baking, stir together the ingredients for the dipping sauce. 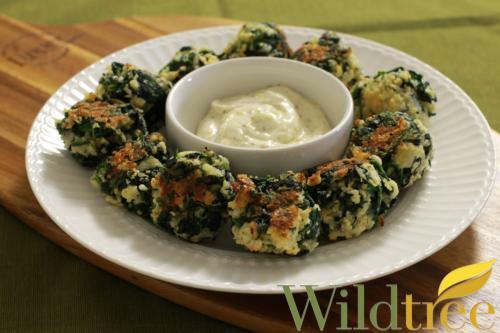 Serve with the finished spinach balls. Preheat oven to 375°F. Using a round cookie cutter that is equivalent in size to the bottom of a tin, cut 6 circles out of the bread slices. (We were able to get 2 circles out of each slice). In a bowl whisk together the eggs, light cream, Savory Spinach Dip, and Garlic Galore. Season mixture with salt and pepper is desired. Grease the muffin tin and place 1 bread circle in the bottom of each. Top each with diced onion and mozzarella cheese. Pour the egg mixture into the tins. Top each with crumbled bacon. Bake for 20 minutes. Let quiche chill before removing from tins, they will sink slightly. 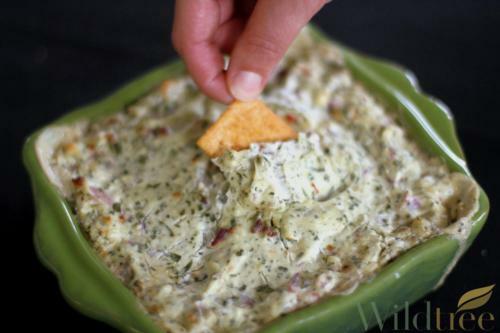 For this spinach dip recipe, prepare the Onion & Chive dip as directed before stirring in the Monterey Jack cheese. Spoon out the cheesy dip and roll into balls; approximately 2 tablespoons each. Roll the balls in the shredded spinach and chopped chives until fully covered. Serve with crackers and/or veggies. In a large bowl combine the spinach, tomato sauce, Lasagna Skillet Meal, ricotta, and mozzarella cheese until completely combined. Using your fingers, wet the edges of the wonton wrapper. Place a heaping teaspoon of filling in the center of the wrapper. Fold in half making a triangle, pressing tightly to seal the edges. Repeat with remaining wonton wrappers. Heat an inch of Grapeseed Oil in a skillet. Once it reaches 350 degrees, working in batches, fry the wontons until golden on both sides, flipping if necessary. Not a spinach dip recipe in the traditional sense but sure to be a hit.